Where can you see the Tillmans this Father’s Day week? 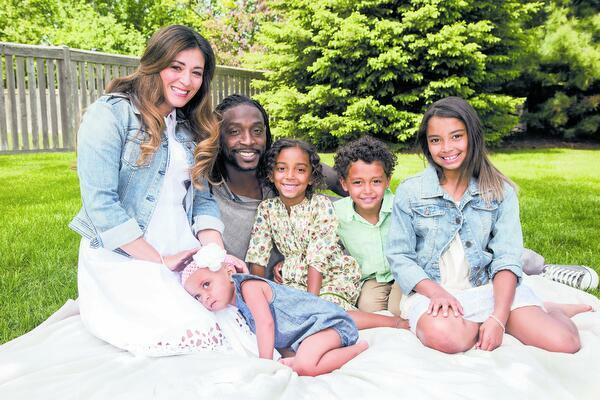 Bears’ cornerback Charles “Peanut” Tillman recently allowed the media into his home for a holiday exclusive. The Chicago football star and his lovely family graced the cover of the Chicago Sun Times’ Splash mag this week. Inside the newspaper feature, he discussed his baby girl Tiana’s health scare, his Cornerstone Foundation and much more. This entry was posted in Football, News, sports and tagged Charles Tillman, Chicago Bears, Peanut Tillman. Bookmark the permalink.